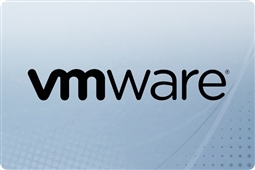 Get your VMware vCenter Standard Basic and Product Support licenses here! VMware vCenter Server 6 Standard Support subscriptions provide technical support, updates, and knowledge based articles perfect for Small Medium Size Businesses (SMBs)! With coverage for VMware vCenter Standard features for monitoring, orchestrating, and controlling virtual machines during large scale deployments VMware vCenter Standard Support makes sure your business always has the updates, maintenance, and technical support your business needs. Aventis Systems carries both VMware vCenter Server 6 Standard Basic or Production support coverage level. What is the difference between vCenter Standard Production Support and Basic Support? VMware vCenter Server 6 Standard Basic Support subscriptions offer technical support Monday through Friday for up to 4 administrators and unlimited cases 12 hours per day! VMware vCenter Server 6 Standard Production Support subscriptions offer the same coverage as standard plus 2 additional administrators (6 total) and coverage 24 hours a day 7 days a week as well as knowledge based articles! All Aventis Systems VMware vCenter Standard Service and Support subscription licenses come in either 1 year or 3 year service level agreement terms, and are delivered via electronic download for your convenience! In order to properly link your service and support with your existing VMware vCenter Standard license we will require that your business provides both the current VMware contract ID as well as the connected email with your VMware account to tie the subscription to your account. So check out our licenses below and bring the best in Basic or Production level technical support to your business today with VMware vCenter Server 6 Standard Support and Service subscriptions!